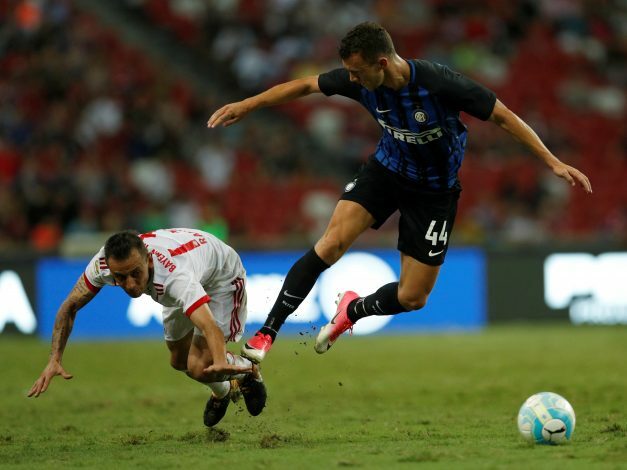 The Ivan Perisic to Manchester United saga continues to do the rounds, as no formal agreement has yet been reached between the English giants and Inter Milan. Jose Mourinho wants to make Perisic his fourth signing of the summer, but the plan hasn’t gone according to his wishes so far. United have had two bids for the Croatia international rejected, as the Italian outfit has stayed firm on the asking price without bending over at the negotiation table. Time is running by with the new season starting soon, and it would get difficult for both parties from here on to prolong these discussions further. Inter have always been vocal about Perisic having a price, and a club can get him if they meet their demands. But now, the Serie A outfit seems to have given a final deadline to the Premier League club in order to get hold of their key asset. According to a report in Italian newspaper Tuttosport, time seems to be running out for the Old Trafford club, and the Europa League champions have up to eight days to lodge a suitable offer for the former Borussia Dortmund player. And that does not end there: Inter are still keen to get Anthony Martial in return on loan, to replace Perisic at the San Siro. Further reports claim that a deadline has been set until next Friday for the Mancunian club to pay heed to. Inter have decided to lower their asking fee to £42m, but are adamant on getting the French starlet in return. It will be an interesting time ahead, with Jose keen to bolster his squad with a winger.